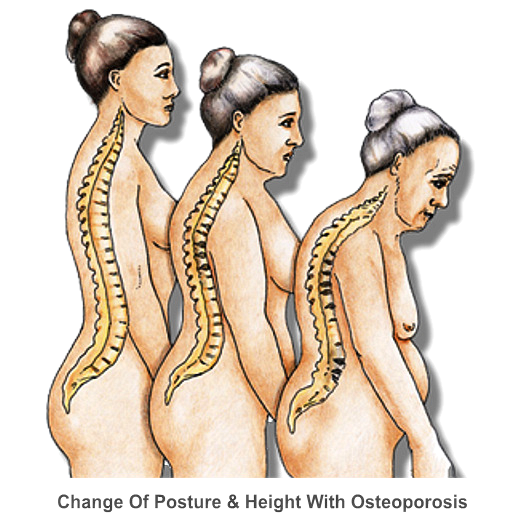 Osteoporosis is a common disease in which the amount of bone in the skeleton is reduced, resulting in the bones becoming thin, brittle and prone to fractures. Recent studies suggest more than one in two women and one in three men will suffer some type of fracture related to osteoporosis in their lifetime. Diagnosing osteoporosis is relatively easy after a fracture. Fortunately, diagnosis prior to fracture is now possible by special tests of bone strength (or bone density) and, when indicated, enables you to take steps to prevent the onset of osteoporosis or reduce further bone loss. 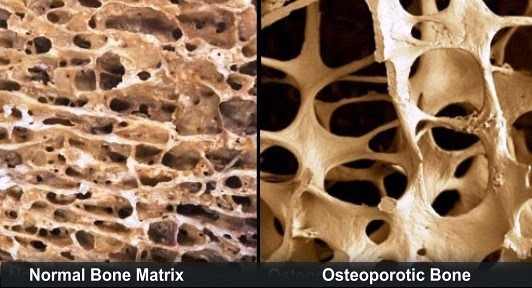 The risk of having an osteoporotic fracture depends on both the peak bone mass achieved when your skeleton is growing, and bone loss later in life. Bone growth in childhood involves both an increase in the length of bones as well as their thickness or density. Importantly, it appears that bone accumulates most rapidly around puberty, making the role of calcium, and especially exercise, important during early adolescence. In both men and women, bone loss from the skeleton starts from the age of 40 to 50. Studies in twins have shown that peak bone mass is strongly influenced by genetic make up but can also be affected by lifestyle factors, such as the amount of calcium in your diet and amount of exercise you do. Ensuring there is enough calcium in your diet beginning in childhood, is therefore an important way to maximise this genetic potential. Studies show the average amount of calcium in the diet is between 400-800mg per day, whereas larger amounts may be needed around puberty and later in life to reduce the risk of osteoporosis. The best sources of calcium are dairy foods, and low fat, calcium enriched varieties are available for those concerned about cholesterol or weight problems. If you don't get enough calcium from natural sources, calcium supplements should be used. However not all calcium tablets contain adequate amounts of elemental calcium so speak to your GP about making the right choice. For patients with a history of kidney stones, calcium tablets should be taken only on your GP's advice. Physical exercise is important for building and maintaining strong bones. Regular, moderate exercise appears beneficial and research indicates that weight bearing exercise (e.g. light jogging, brisk walking) is better for bones than non-weight bearing exercise (e.g. swimming). There may be an advantage in combining aerobic exercise (that promotes the fitness of your heart) with muscle strengthening exercise (that increases muscle bulk). Apart from its effects on bone strength, exercise may also reduce the risk of falls in those who already have osteoporosis by improving agility and balance. Smoking adversely affects your health in general and has recently been identified as a risk factor for osteoporosis. Importantly, if you give up smoking it appears that you can recover some bone density. If you have had early menopause or a strong family history of osteoporosis, you are at greater risk, so preventative measures such as hormone therapy may be considered. Oestrogen (the female hormone), has been shown to prevent bone loss in women after menopause. Oestrogens are generally used with another type of female hormone called a progestagen. Although hormone therapy is most commonly used immediately after menopause when the most rapid bone loss occurs, it is also now being used in older women to prevent further bone loss and to stabilise bone mass. However, to provide benefit for bones and reduce fracture, hormone replacement therapy has to be taken for at least a decade and probably for life. Vitamin D plays an important role in controlling the entry and loss of calcium from bones. Treatment with special forms of Vitamin D can increase the amount of calcium absorbed from the diet and has been shown to reduce the risk of further fractures if you already have osteoporosis. A class of drugs called the bisphosphonates, which slow bone breakdown, are also useful in patients who already have osteoporosis because they increase bone density and prevent further fractures. Raloxifene is a new medication that has all the benefits of HRT on bones without increasing the risk of breast disease. It has been introduced for use in older women at high risk of fracture. Although a low bone density increases the risk of fractures, in many people it is a fall that leads to the actual fracture. Pay attention to your home environment. Anything that increases the risk of falling, for example loose carpets, electrical power cords, uneven surfaces or poor lighting should be corrected if possible. Sedatives and some drugs used to treat blood pressure may also increase the risk of falling and should only be taken as prescribed by your GP.